I've been busy stamping using a wonderful plate and stamping polishes from MoYou Nails. This is plate number 23 and I've used 3 of the 5 patterns together with MoYou stamping polishes in Silver, Black & Blue. Lovely images and no probs what so ever using the plate or stamping polishes. 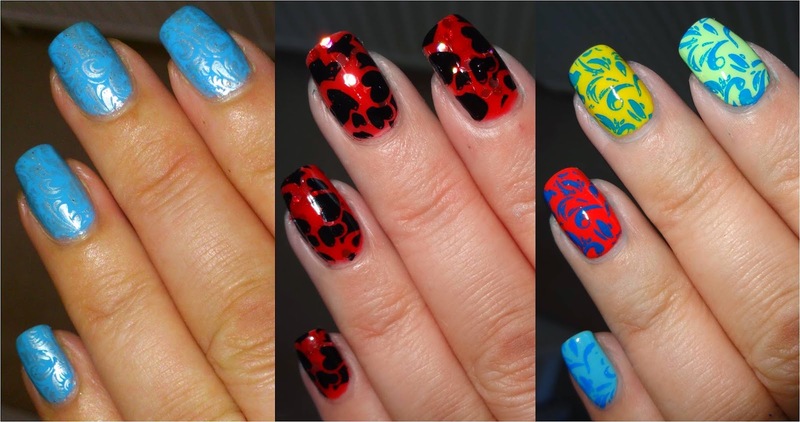 The stamping plate is currently on sale at £3.99, the stamping polishes are £4.99 each or 3 for £10 or 5 for £15. Check out my video below.